The 4th UK in Aurora meeting will take place on May 15th in Burlington House, London with the aim of providing a meeting for researchers to show the results of their research into Mars and other planetary science topics. A theme of this meeting is water-rock interaction on Mars. 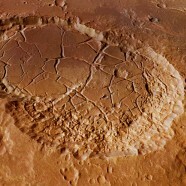 Subjects will include results from Gale Crater, ExoMars landing sites and meteorite research. Other topics are welcome. There will also be an opportunity to discuss planetary science and exploration strategy with UKSA. If you wish to give a presentation please email j.bridges@le.ac.uk. Abstracts – by April 15th – should be half page, singe column word documents, in 11 point font.